S.E.A. Asset Management is an independent financial services firm offering customised asset and fund management solutions for private and institutional clients since 2007. The cooperation is based on a business model that links S.E.A. Asset Management with the client and the bank. We are completely autonomous in selecting the most suitable investment strategy and the most attractive investment products. We apply a systematic approach that starts with an in-depth analysis of our client’s individual situation. Before we customise a portfolio proposal, we consider the many factors important to the client. 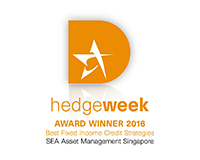 Seniority, expertise, and a unique combination of skills, experience and client orientation forms a highly specialised and exclusive asset management team in one of Asia’s most attractive and dynamic financial centres. By entering this site you agree to be bound by the Terms and Conditions of Use. 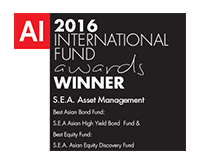 S.E.A Asset Management Pte Ltd (“SEA”) is a Capital Markets licence holder and regulated by the Monetary Authority of Singapore (‘MAS’). By using this site you represent and warrant that you are an accredited investor or institutional investor as defined in the Singapore Securities and Futures Act (Chapter 289). In using this site users represent that they are an accredited and/or professional investor and use this site for their own information purposes only. This site and the information included herein is for general information purposes only and does not constitute an offer or solicitation to subscribe in the funds or products referred herewith. This site does not constitute investment advice or counsel or solicitation for investment in any fund, products or services. The content of this website should not be regarded as investment advice or financial product advice and should not be relied upon as such. In making any investment decision, prospective investors must rely on their own examination of the merits and risks involved. The information contained in this document is subject to change without notice. It is not intended for public use or distribution. Any research or analysis used to derive, or in relation to, the information has been procured from sources deemed reliable by SEA for its own use, without taking into account the investment objectives, financial situation or particular needs of any specific investor. To the best of its knowledge and belief, SEA considers the information contained herein as accurate as at the date of publication. The funds mentioned in this website are suitable for professional or institutional investors only. All investment involves risk and past performance is not indicative of future results. Our investment management services relate to a variety of investments, each of which can fluctuate in value. The value of funds and portfolios we manage may fall as well as rise, and the investor may not get back the full amount originally invested. The loss on realization or cancellation may be very high including total loss of investment, as the value of such an investment may fall suddenly and substantially. Any projections or forward looking statements are not necessarily indicative of future or likely performance. Any links to other websites contained within this website are for the convenience of the user only and do not constitute an endorsement by SEA of these websites. SEA is not responsible for the content of other websites referenced in this website. Any offer or solicitation will be made only upon execution of completed information memorandum, subscription application and relevant documentation, all of which must be read in their entirety. No offer to subscribe in shares will be made or accepted prior to receipt by SEA of these documents and the completion of all appropriate documentation. Access to information about the funds is limited to investors who qualify as accredited investors only. I have read and accept the terms and condition of use.